Palghar 422 mms, Dahanu 360 mms,Thane 190 mms, S'Cruz 185, Vasai 177 mms, Ulhasnagar 155 mms, Kalyan 138 mms, Panvel 93 mms, Colaba 90 mms, Vagaries (Mahalaxmi) 89 mms. Lucky break for Marathwada, with stations getting between 40-60 mms. Sonpeth highest with 105 mms and Pathari got 100 mms. Pradeep's Page in Vagaries: All India Toppers as on 1st September....State wise Toppers ....see Current Weather Page Now ! As yet, Vagaries is not numbering the new low, meaning, i do not hold out too much from this. But, on the other hand, vagaries had informed of an UAC over Saurashtra Monday evening. Surat and Bharuch getting rains from this system currently. Very possible that this UAC can descend to sea level and form a low, south of the Saurashtra coast soon. Holding hopes from this for coastal Sindh (Pakistan). Tuesday, cloudy and occasional showers. Brightning up later in the day. Rain amount will be less than half Monday's. Total day's rain, in showers, will be around 35-40 mms in 24 hrs. Rainfall decreases by evening. Thane and Panvel neighbourhood will see some early heavy some occasional (not persisting) heavy showers. Total 24 hrs rain amount will be around 65-75 mms. Mumbai Lakes figures of Monday/Tuesday comparison will be up tomorrow. Vagaries' counter ticked 2500 hits for the day today. ( counter changes at mid night)..Thank You Readers..
Mumbai) during next 48 hours." Hmmmmm! Heavy rains in Gurgaon (6AM to 6:45am) with strong winds and thunder. The rain/winds have decreased in intensity. Yesterday we all know Mumbai and surrounding 100kms area recorded heavy rains. So Badlapur also got heavy rains but stopped after 5.30pm then there was drizzling in between. Then from today early morning 3am again heavy rain started over Badlapur. So overall Badlapur records 200mms rain in past 24hrs. (i.e from yesterday 8.30am to today 8.30am on 04-09-2012). This is for first time for this season which noted 200mm mark in 24hrs period.. Previous highest in Badlapur was on 18 July 2012 with 170mm in 24hrs period and Badlapur railway station tracks flooded photos were putted on vagaries blog page also. Very Heavy Rain Lashing from early morning in Kalyan- Badlapur regions. Water logging started in Kalyan. So Central railway services affected in Kalyan area. No signals for all DTH service provider! So cannot watch the news here in Badlapur. Compared to yesterday, today's rain are very severe here in Kalyan- Badlapur region. Snaps of heavy intensity rain in Badlapur is posted on Vagaries FB page. And one thing forgot to clear that today no lightening seen or thundering sound heard here in Badlapur. Buses & Rickshaws also not plying as waterlogged on roads at many spots too on Kalyan- Badlapur highway. Badlapur records 80mms rain in just 2hrs. i.e from 8.30am to 10.30am today. @Abhijit Modak Rain clouds coming from east or west? still raining there? No rain in Central Mumbai since morning. @ Ron. yes, very heavy rain here. Now Local trains fully suspended till further notice by Central Railway authorities from Kalyan to Karjat & Kasara route due to signal failure and water logging at many spots. All express train like Deccan Express & Pune- Indore express halted at many station. Kalyan- Badlapur Road highway too closed due to water logging so all transportation services got affected here. @ svt. Rain intensity reduced from last15mins Now Drizzling here. And here clouds direction are from west to east normal monsoonish style. No thundery or lightening today. Got news from Ambernath, schools closed, West Ambernath flooded heavily. Official Rain data of mainland township of today ending at 8.30am in mms around Mumbai region. Dahanu & Palghar region very severe heavy rain. Is it better to go back now? ?Has it stopped raining there? Thane has received 65 mm rainfall since 00 am today. Moderate rain right now over here. Ron, are you posting from a local train? That's pretty neat. REporting live from the hot spot!! fast line is still bad..train stuck somewhere outside diva..slow line is moving but at snail pace...any notifications from central railway? ?Has the rain subsided a bit in the kalyan belt?? Please read this article, quite relevant in explaining why we are veering to a "normal" monsoon now !! ahh the train moved a bit but stopped again..though can see trains moving the opposite direction to cst regularly now.. Some snaps of tracks flooding between Kalyan- Vithalwadi railway stations are putted on Vagaries FB page..
After 11.30am now just drizzling here in Badlapur. returning back from dombivli now..are the harbour lines running at least? @ Ron. whether Dombivli having rains at moment ? Here in Badlapur continuous rains but varying from drizzles to sometime medium then some time heavy like this..
Harbour line are working I think as no news of that side. Only Kalyan- Badlapur & Bhiwandi & Thane district news are been flashed by Marathi news channel. anonymous: lake levels not good ? with 3 lakes overflowing and 11 months storage ? The bay low remains along Orissa North Ap coast. The (hopeful) UAC over Gujarat also is steady. I am watching that for surprises ! Rajesh, are you sticking to forecast of let up of rains by evening ? some reports of heavy to very heavy by evening or night !! What is the forecast for Delhi/NCR for next 3-4 days. Some main cities Rain data of Gujarat in mms ending 8.30am Tuesday. harbour is running fine whereas central was about 15 min late..
11 months storage is very good news for Mumbai, this means that the water is set to last till next Monsoon, always a good situation to be in. Mainland township near Mumbai are getting heavy rains than yesterday. Badlapur having non- stop rains from 3am onwards.. From 11am intensity was reduced with varying between drizzles to medium and now from 4.40pm again heavy rain have pick up. Max temp was just 25d C.
Now intensity reduced to drizzling here. And Badlapur records 123mms rain from 8.30am till 5.30pm today. Rained moderately in ghaziabad in the early morning for around 15 minutes and around 08:30am it started pouring again more heavily which lasted for 70 minutes.Total rain amount should be around 60-70mms. Rain completely stopped in Badlapur from 7pm onwards. But saw 18hrs non stop rains today. Some snaps of railway tracks flooded at Kalyan & Badlapur railway stations around 10am today morning just now posted on vagaries FB page. Well well!! The highest single day rainfall this monsoon happened yesterday (ending today 8.30am) with an All India figure of 14.8 MM !! CI got 172% excess rain whereas SPIN got 281% excess rain. 9 of the 10 subdivisions in CI and 8 of the 10 subdivisions in SPIN got excess rainfall. All India 22 of the 36 subdivisions received excess rainfall. The All India deficit is reduced to 11% and the defecit of SPIN (6%) and CI (8%) are now within sight of near normal TOTAL rainfall. Of course the next few days will be crucial. IMD was correct. 440mm of rain is just like a hit by a cyclonic storm- eye being on Tarapur,Boisar,Dhananu,Palghar- sceneric places. It is really great to see Mumbai stand tall year after year with such extreme rains. 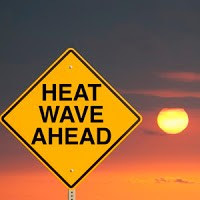 Infact coming years Maharashtra,Gujarat,MP will see such extreme events with Mumbai being hot spot. Mumbai has greatest nuclear setups (BARC) - which stood against all calamities - most beautiful colony Anushaktinager. With monsoon axis in central India and october predicted to be vigourous, myself doubt if NEM will ever occur - we may end up with only SWM - major falls for Maharashtra. Infact UAC in pipeline and low over Maha/Guj - collision we can predict extreme falls likely to happen. IMD has continues to maintain red alert. Maharashtra has received outstanding rains (konkan,madhya maha,vidar,marthwada). Bangalore day after day worsening, hot september temperature-no rain in sight. Drought is worsening. Wish nature has mercy atleast some amount of rain to parched city. Pradeep has given good examples of worst least rain places (0mm) major places being from TamilNadu. Infact similar situation is now with worst 2012 drought -SriLanka - SWM has failed completely. I see correlation between droughts of TN,SriLanka, Rayalseemama, interior Karnataka (Bangalore,Mysore,Mandya,Kolar...). Bangalore remains a classic example of what happens if people defy nature. I can imagine 1 day of Mumbai rain is enough to wipe out Bangalore from India map - worst Bangalore infrastructure. Times of India publish - Modak,Tansa overflowing!!! !